Something is amiss in Arkadia. I’m not talking about all the stuff that’s normally amiss, but the feeling that the whole compound is a rudderless ship without a captain. In the aftermath of the destruction of the City of Light, the people of Arkadia have been living rather listlessly. Yes, they’re working to get their ship fixed up as a living space, and they’re living under relative freedom now that A.L.I.E. is long gone. But what’s missing is someone really stepping in and taking charge, making sure that Arkadia will be a place to thrive. As Jasper has said: he doesn’t want to survive, he wants to live. For that, Arkadia needs a leader, and “The Four Horsemen” is largely concerned with examining what leadership means and how various characters are contributing to both the triumphs and failings of the Sky People’s homegrown village. What I find most interesting about “The Four Horsemen” is the way that it challenges the long-held assumption that Clarke is the de facto leader of her people. It’s not that she’s a Chancellor like Kane or (ugh) Pike before her, but rather that she’s the one who constantly finds herself in the position to make the important decisions. Whether it’s bombing Mount Weather or hiding the facts about the nuclear radiation from just about everyone, Clarke has always been at the forefront of every single decision, and more often than not, she gets her way. While Clarke’s leadership has always gone through its trials and tribulations, “The Four Horsemen” really begins to show the toll her role is having on her and her judgment. As Luna, Nyko, and a young Grounder girl arrive at Arkadia, stricken with Acute Radiation Syndrome, Clarke seems to nearly break down. Her eyes well up and, for the first time in awhile, the responsibility she’s undertaken is hitting her. It’s a great moment for Eliza Taylor, who consistently captures Clarke’s torn mindset; she has a way of using her eyes to tip us off about Clarke’s internal struggles while her exterior remains cool and collected. So, in this moment, we can feel the pressure of having to keep a secret, help out this family, and deal with the fact that the radiation may already be creeping toward Arkadia. That’s a lot to handle on its own, never mind coming on the heels of destroying a mind-controlling AI. 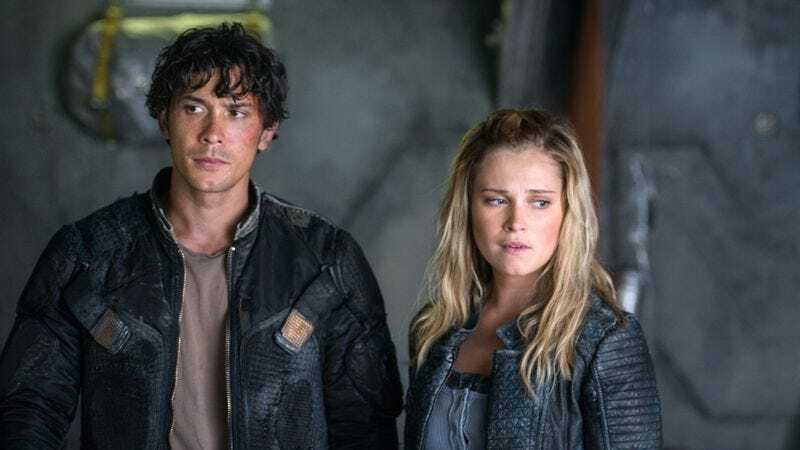 From there, “The Four Horsemen” uses its scenes to really challenge Clarke and the general idea of what’s best for Arkadia. In some ways, these are narrative beats the show has hit before, and in fact, the episode suffers from the familiarity. Every bit of action here, from Abby arguing with Raven about how to use their small ration of radiation medication, to Octavia’s attempts to keep the Flame safe while in Polis, feels like a repeat of previous storylines. After the first two episodes worked to establish the chaos of this new world, with the Sky People as the 13th clan, “The Four Horsemen” is an obvious regression. It finds some inspiration in the shifting morality and leadership within Arkadia, but it also never moves much beyond the thematic explorations that have defined this show for three seasons. Still, it’s hard to deny that there’s an urgency to the scenes within Arkadia. Raven is the highlight in this episode, as she’s given room to be the driven, thoughtful person she is. She’s sick of Clarke’s resistance to just about everything involving Arkadia, from making sure the ship is patched up to the need to make a list of the 100 people who will actually get to live there once everything is in working order. Now, with their timeline cut down to two months or so, Raven emerges as the one ready to get the job done. For all the talk of Clarke making the tough decisions, here it feels like Raven is the only one thinking ahead. While Clarke is playing politician, Raven is fixing the ship and standing up to Abby when it comes to the medication rations. The 100 gets into murky territory when it has Murphy return to Arkadia to steal food, only to have him take Abby’s side against Raven, stealing the radiation pills that end up doing nothing to save the young Grounder girl. The show presents Murphy and Abby’s collusion as the “right choice” despite the fact that it doesn’t work, forcing Raven into a position where she comes across as heartless and out of her element. To me, that’s a serious problem. 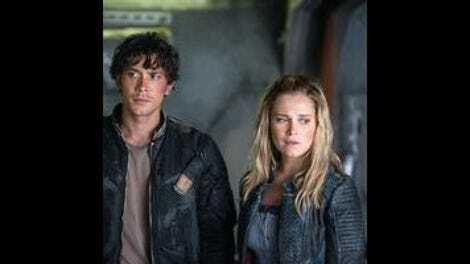 Abby and Clarke go out of their way to justify the difficult decisions they’ve made in the past, and Raven, one of the few who knows the truth about the radiation and has been appointed as the person in charge of rations, does no different here. In return, she’s chastised by Murphy (of all people,) while Abby shoots her a look of disappointment. Obviously a show needs conflict, and there’s a certain logical leap that’s necessary every now and then, but this is an instance that reminds me of the shoddy character motivations that plagued Bellamy’s arc last season. Watching Abby chastise Raven—she even goes so far as to tell her that the “radiation isn’t killing that little girl; you are,” which is just beyond nasty and completely unjustified—feels like conflict for the sake of conflict, rather than being rooted in character motivations and mindsets that feel authentic. The result is that an already overly-familiar episode ends up feeling even more contrived, and an early misstep in a season that had been working to rectify past mistakes. The introduction of the Second Dawn is interesting. That trip to the fallen bunker can’t all be for nothing, so I fully expect the Second Dawn and its leader, Bill Cadogan, to pop up at some point this season. So, Indra has a daughter, Octavia almost kills her, and now she has the Flame. I’m intrigued. Octavia lies to Roan about the Flame being destroyed. It would seem her only real allegiance is to Indra. Luna recovers from the ASR at the end of the episode, meaning that the Nightbloods are immune. Now, Abby and her team get to work on a cure. The Jaha parallel with Cadogan is a little too on the nose for my liking. Jaha basically looks into the camera and winks. Around Polis, Octavia is being referred to as the Sky Ripper. Awesome.